How many times have you dreamed about building your own home? Nothing equals the thrill of being able to design it from the ground up with a hand picked layout and distinctive features that make it uniquely your own. Now you can feel the excitement of incorporating the newest materials, designs, and progressive technology. Pace Real Estate has been involved in new construction for decades, representing some of the finest builders and developers in the area.We know the builders and the communities. 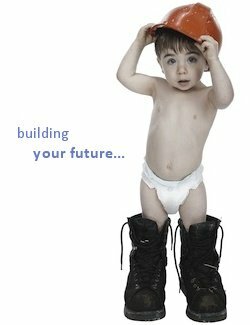 We can help you find the right builder and new home community to make your dream a reality. We want you to be happy every rafter. Don't know where to start when building your home? We can help! Contact us today! For over 40 years, R.L. Beyer has served Charlottesville and Albemarle with distinguished homes of integrity and beauty. The family managed company and the dedicated employees protect and preserve with energy efficient building practices. The R.L. Beyer family is blessed with an incredibly loyal team. The average company-wide tenure with the organization is 21 years and many have been crafting homes of character for 30 or more years. The goal at R.L. Beyer is to ensure peace of mind through every step of the home building process. An in-house draftsman and architect oversee every custom home design. A personal interior design consultant guides you through color, finish and design selections. While craftsmanship is a waning art in the industry, at R.L. Beyer it is the very cornerstone of their reputation. 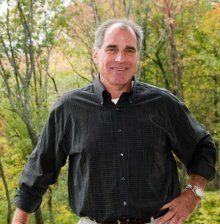 Since the inception of the company , Rick Beyer, owner has focused on sustainability issues – the careful siting of houses, the preservation of trees, and a dedication to solidly constructed homes-because he believes energy efficiency and the overall quality of your home are closely linked.